← Separate Constituencies for Overseas Voters? British expats: did you know you can vote in the European Parliamentary elections? Samantha Mills, Head of Campaigns at the Electoral Commission. This entry was posted in All EU Brits Need Voice, Electoral Commission, EU Let Me Vote, European Elections Briefing, Samantha Mills Euro Elections Post and tagged 2014 European elections, British expats, European Elections, Samantha Mills. Bookmark the permalink. 9 Responses to British expats: did you know you can vote in the European Parliamentary elections? Why are you all complaining ? you all left the uk, as you clearly thought a new life elsewhere was more lucrative/ better, so would it not be beneficial to work hard on ‘local’ issues where your life is now – as it is very clear UK issues are well down the pecking order compared with some of the countries issues named in these replies. I think after 50 years being born in and living in the UK, what happens there still affects my life. Take for example the issue of frozen pensions. I’ve paid the same full set of National Insurance contributions as everyone else in the UK, yet here in Australia (and many other commonwealth nations) my UK state pension is “frozen” and paid by the DWP at the rate prevailing on the date I retire. That’s unfair, I think I have a right to have my say on that. See http://youle.info/bpia-blog/ for more details. Similarly, my children and grandchildren still live and work in the UK. I retain a clear and continuous interest in their welfare and welbeing and welcome the opportunity to vote on their futures. “Not an expat and truly British” will also be pleased to learn that a continuing interest in British life and politics doesn’t preclude an interest in local politics. I vote here (it’s compulsory in Oz) and I’ve been known to turn up at the odd demo (must recently to protest about the Abbott Budget which aims to impoverish working class people in Australia much as Cameron’s policies have already done so in the UK. Irrespective of 50 years you did leave the UK – your uk based family have their own rights and say so not part of the issue. We currently send far too many benefits abroad and this affects loyal British people, and always wil. The argument is why you believe you have the right to vote for the EU activity – you don’t in my mind, but you could help the indigenous people of Australia and their rights. Thanks you for stimulating this debate and suggesting that British citizens living outside the UK are less loyal than someone like yourself who still lives in the UK. This is a rather broad statement which conveniently ignores for example those British expatriate citizens who represent British companies abroad in developing export business which in turn brings benefit to the UK, thereby helping the government to re-balance the British economy.It is also important to differentiate between benefits and entitlements when saying that far too many benefits are sent abroad to the detriment of loyal British citizens.An example of an entitlement is a British pension to which the recipient has fully contributed throughout his/her working life and is entitled to receive. On the issue of “the right to vote for the EU activity” I’m interested in whether you think that only “loyal” British citizens should vote in any future EU referendum on continuing British membership and why that should not include all British expatriate citizens (of voting age) living within the EU at the time and ,therefore, likely to be also impacted by the result? I have lived in Spain since 2005. I am registered as an overseas voter and always receive and return the (annual) paperwork from my UK local authority to confirm that I still live in Spain. However, yet again ( this is the 3rd consecutive time) that I have been unable to vote for none receipt of postal voting papers. On this occasion, in April, I received a card from the LA confirming that as an overseas voter, I would be sent my papers and advising me that if I hadn’t received them by 16th May then to phone a stated telephone number for them to be able to resend them to me. Sure enough, when I hadn’t received them on the 16th I rang my local authority early that morning. The lady I spoke to was very helpful and said she would post them out again that very morning. However she did explain that the original papers would have to be cancelled and raised her concerns that these new papers may not be received by me in time to post back and received by them on or before 22 May. However, as I was flying into the UK on the 22nd I advised her that as long as I received them I would post them personally at the LA offices. She even advised me that I could take them to any polling station within the LA as they were open until10pm. I explained that if the papers went out that day then I should receive them before my departure on the following Thursday afternoon (22nd May). I still did not receive the papers in time. However, I was advised by my husband who was still in Spain, when they arrived on the 26 May (not a public holiday here) the date stamp on the envelope was the 20 May. I honestly believe that there is some hidden agenda by either the government, Local Authorities or some one because this is the 3rd consecutive election that I have not received my voting papers although on this occasion I had been sent a second lot which had been posted much to late to be of any use. I am absolutely furious because I feel that there is a whole load of propaganda going on reporting that expats aren’t interested in voting. I wonder why! The only response I have got from the LA is that they sent them out and therefore unable to do anything about it. I am still waiting responses from the various councillors for the area. I am sure that there must be many many more people who haven’t received there papers either and probably just feel as helpless as myself. Sorry for the rant but like I said above, I am furious. I was pleasantly surprised when my EU ballot paper arrived post at my home in Australia as I had not remembered that I had a vote in this election. However, my joy was tempered by the realisation that this paper had arrived 5 days after the polling date Thank you Sheffield City Council, I will be taking this matter further. Yes I know I can go on – just a thought Samantha Mills UK Electoral Commission . The Electoral Commission and possibly others have bandied about estimates of unregistered UK citizens ( vis Representation of the Peoples Acts ) . DO YOU HAVE FIGUERES FOR THE NUMBER OF DISENFRANCHISED OVERSEAS UK CITIZENS ie those who had registered / or applied to register at their last registered Electoral Registrars AND BEEN REMOVED / REFUSED BY A CROWN OFFICE – ELECTORAL COMMISSION ? trust this blog is for expat / exiles outside EU . As a UK citizen disenfranchised exiled in EU the UK Electoral Commisions campaign for overseas registrations per the Representation of the Peoples Act ( all UK jurisdictions i 1985 , amended 1989 to 20 year right to register THEN UNDEMOCRATICALLY ( possibly illegal ) Political Parties, Elections, Referendums Act 2000 ” Misellaneous page 141 amend 20 years to 15 years ” is A LAUGHABLE / POLITICAL SMOKESCREEN . 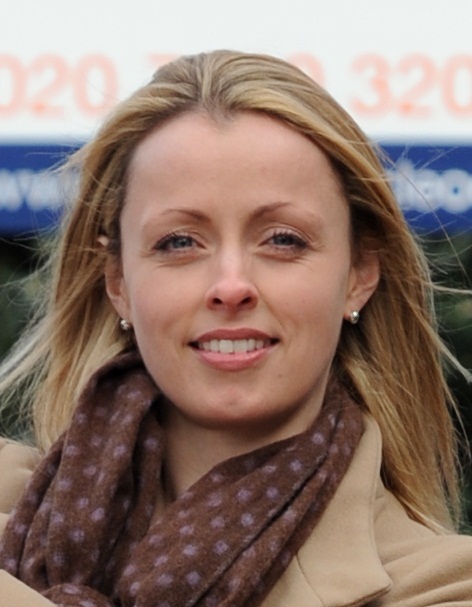 Samantha Mills should be asking the Westminster Gov . how can UK citizens ( Westminster MPs ) democraticaly disenfranchise a UK citizen – I applied to register in 2011 as an overseas UK citizen AND WAS DISENFRANCHISED by aforsaid amendment ( PPER Act 2000 ) to the Representation of the Peoples Act 1989 . To this end best as a UK citizen to apply to register at their last UK registrars office AND BE REFUSED LIKE ME – see all my blogs on this subject – currently UK Gov . IS NOT DEMOCRATIC .